Based on the Interstellar Record created, placed and launched in the Voyager spacecraft in 1977, our Interstellar Record honors visual arts (which was omitted from the 1977 Record) and life on earth. The record is housed in a space-capsule cone structure that travels to new locations for exhibition while offering communication of life on earth to unspecified recipients. 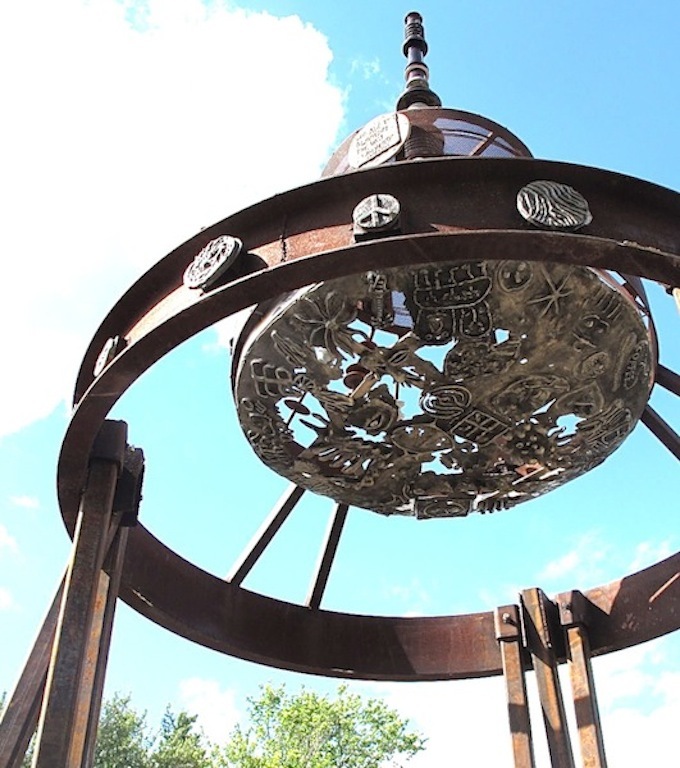 The project involved a cast metal residency at Interact Center for the Visual and Performing Arts, a community metal pour and experimental sound performance at Franconia Sculpture Park, and the creation of the Interstellar Record sculpture. 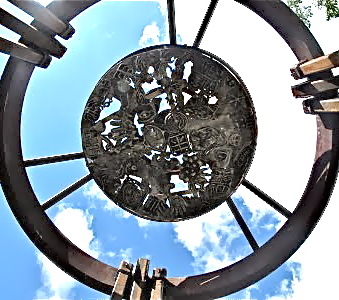 The community event and celebration launched the notion of timeless communication from the vibrant geophysical environment of Taylors Falls, MN. Artist workshops and performances offered opportunities for the community to participate through the gift of witness, imagination, sound and creation. 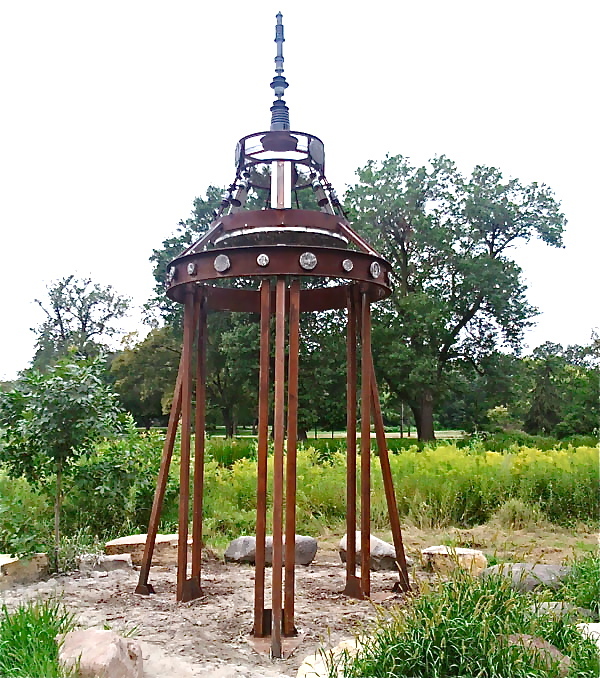 This project is generously supported in part by: FORECAST Public Art, made possible by the Jerome Foundation, Anurag Art Foundry, Franconia Sculpture Park, Minneapolis Park and Recreation, and the Red Wing Arts Association. David Bauman, Bill Borden, Mary Collins, Kay Cooley, Geri, David Eidem, Mark Fliss, Gail Harbeck, Nancy Janes, Abby Johnson, Linda Johnson, Stephanie Jones, Layne Lastine, Joachim Muhs, David Peterson, Eric Sherarts, Tim Traver, Billy Tomaszewski, Robert Torfin, Sam Videen, Yvette Weijergang.